I love researching for my Christmas Gift Guides (this year I have planned 3 posts) but my favourite is the Eco Friendly theme. 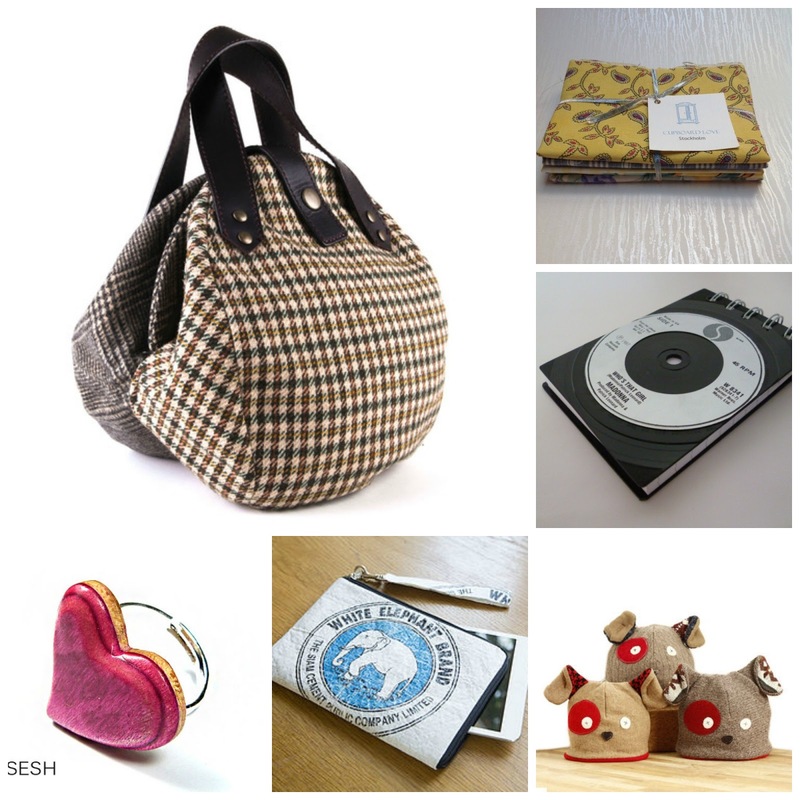 It's really great to find unique products which are made from recycled and upcycled materials. I also look for items which support charities or fairtrade programs. I mention it every year but you really can find some hidden gems from around the world on Etsy plus Folksy and Not On The High Street are good for supporting UK sellers. Disclaimer - I will not receive any commission should you purchase from companies mentioned in my gift guides. This is not a sponsored post. Love the hats! Don't think they'd go down too well with my 12, 15 & 16 year old however! Love the bag it's so cool!